Which Pipes Are More Likely To Freeze? Further, not all broken pipes are immediately noticeable. Sometimes you can have a slow leak from a ruptured pipe that can go on for weeks or months. These hidden leaks can sometimes end up being among the costliest because of the amount of damage that they can do before they are discovered. 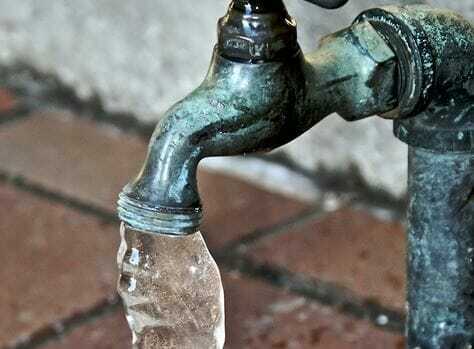 HOW DO I KNOW MY PIPE IS FROZEN? Here are the things to watch for when determining whether you have a frozen pipe. The smell of an unpleasant odor. Not surprisingly, the mold or rot that can arise from a slow leak will give off an unpleasant odor. If you smell something musty or damp it may be a sign that you have a broken pipe somewhere. Damp or spotted interior surfaces. Water is wet (obviously) so if you notice a ceiling surface or a wall that is suddenly damp, that water must be coming from somewhere. It could be from a pipe which has burst elsewhere in the building, and the water could be running down the interior of a wall or floor. Changes in plumbing flow. If a faucet suddenly starts flowing differently—such as at a lower volume than usual—it may be because some of the water is running out of a rupture somewhere rather than running out of the faucet. We hope this helps in determining your home needs. Please stay warm this winter and we are ready to help you if needed. 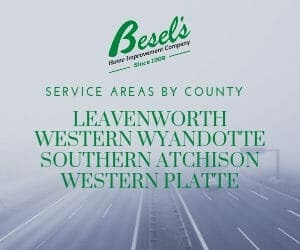 If you need any assistance with your home improvement needs, please call Besel’s at (913) 682-7000 or fill out a form for us to visit HERE.